WIN COMMUNICATIONS…… Metro-Tel can service or upgrade your legacy Win System. WIN Business Telephone Systems was a leading supplier of Computer Telephony and IP Communication equipment. WIN had 25 years of proven experience both nationally and internationally in the telecommunications industry. They were also known for continuously striving to offer competitive, high-tech. and high-quality products based on advanced DSP Voice Technology. These products include Voice Mail Systems, Recording Systems, Voice Gateways, and total VoIP solutions. 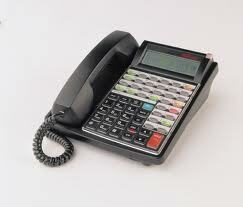 To date, WIN has sold over 2,000,000 lines of telephone systems nationwide. In recent years, with the advances in IP telephony and the rapid proliferation of the World Wide Web, it is no surprise to see IP as a leading technology in the telephony world. Traditional PBX architecture alone can no longer satisfy the globalization of enterprises. It is based on this fact that WIN invested heavily in engineering, and marketing resources to build on past experiences in voice and VoIP applications to create an intelligent enterprise level IP telephony system. The result is the eNet series IP-PBX. The eNet IP-PBX claimed to provide all the advantages of IP telephony such as mobility, availability, scalability, and flexibility while maintaining the same key system operation enterprise users are accustomed to. Unfortunately, customers were not happy with the stations sets themselves. The speakerphones had poor volume, the displays too small and the overall quality of the phone sets left a lot to be desired. The eNet Voice Servers (blades/appliances) were not very stable and frequently caused problems. Most Dealers and end users were extremely disappointed with the performance, reliability and the tech support associated with the WIN eNet. Metro-tel has been a WIN Communications dealer since 1996 and has installed over 800 systems. WIN Communications ceased operations in May of 2013, and Metro-tel purchased a large supply of expansion/replacement parts. Metro-Tel now has the capability to service WIN Communications customer. WIN Telephone System utilize both Digital technology and with the addition of an IP card, VOIP technology. We also have New and Refurbished KSU’s, Trunk Cards, PRI Cards, T-1 Cards , Station Card, C.O. Cards and CPU’s for all WIN Systems. If you need help with your WIN Communications eNet please call us at 817-831-4436 or email us and we’ll give you a quote!